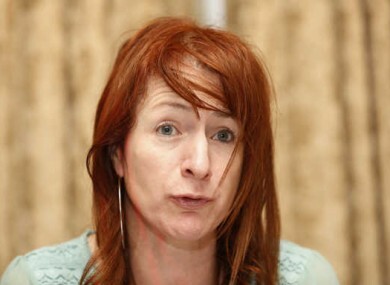 CLARE DALY HAS stated that six more Garda whistleblowers are coming forward. The Independents4Change TD made the comments in the Dáil this afternoon, describing the process as a “horrendous nightmare” for the serving gardaí. “People’s good names are very important and at the heart of this matter are the muddying and tarnishing of the good name of Sergeant Maurice McCabe. “This is also about the horrendous nightmare that is being experienced by current members of An Garda Síochána who have made protective disclosures and I am not only talking about those whose names are in the public domain. I and Deputy Wallace recently met with a further six serving members of An Garda Síochána who have all either made protective disclosures or are on the verge of doing so. Daly also said the judge reviewing allegations made by two senior gardaí about an orchestrated smear campaign against Maurice McCabe, has not made contact with the whistleblowers involved, even though he is due to report back next week. “Five weeks ago, the Tánaiste referred two very serious protected disclosures from two senior gardaí to retired judge, Mr Justice Iarfhlaith O’Neill, for urgent inquiry. “The disclosures, which alleged the Garda Commissioner, Nóirín O’Sullivan, was directly involved in a systematic and organised campaign to discredit the whistleblower Maurice McCabe with colleagues, politicians and journalists, were due to be investigated by the former judge who is due to conclude and report back next week. “Attempts made by other whistleblowers to have their cases also heard, as they too are the victims of bullying and harassment since making protected disclosures, were ignored despite the fact their testimony and experiences are current and they get to the very heart of the systemic problems in An Garda Síochána, that what is said in public and done privately are two entirely different things. The former judge has not requested any material from either of the two whistleblowers. He has not met either man. He has not even spoken to either man. In fact, the only interaction, approximately two weeks ago, was a request to their legal teams to pass on the protected disclosure to the Garda Commissioner. Email “Clare Daly reveals that six more Garda whistleblowers are coming forward”. Feedback on “Clare Daly reveals that six more Garda whistleblowers are coming forward”.